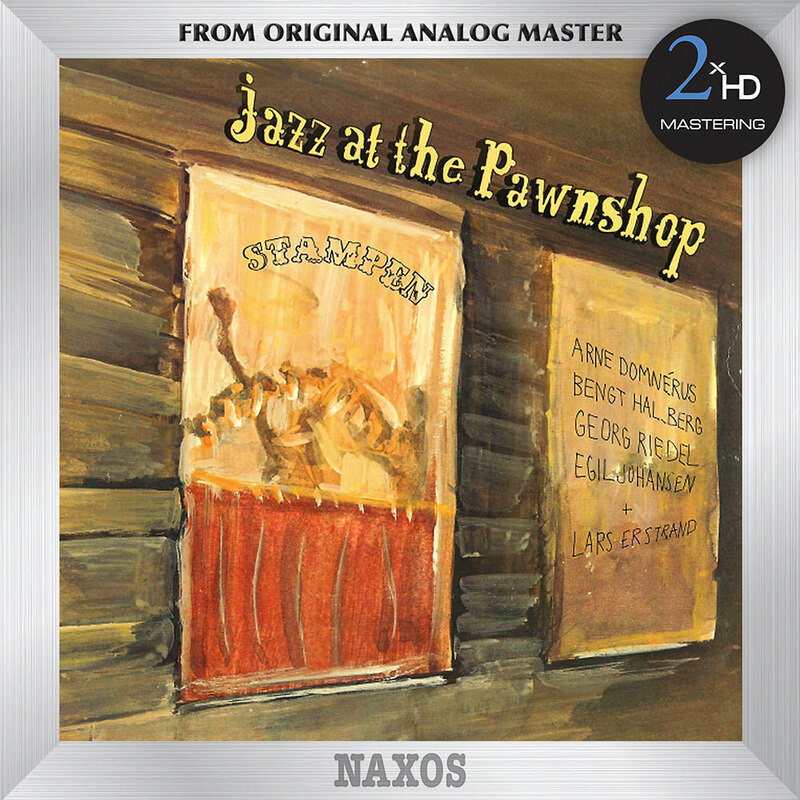 "... an absolutely glorious mix that seamlessly knits Ellington with Armstrong, melancholic Swedish folk songs with bop ..."
Jazz at the Pawnshop is considered one of the most famous audiophile albums in music. Recorded over two nights in December 1976 at the intimate Pawnshop jazz club in Stockholm, both the musicianship and the engineering came together in a magical symbiosis captured on this enduring classic. Recording engineer Gert Palmcrantz used one pair of microphones spaced eight inches apart for for the main pick-up, with a couple of microphones placed to register the “live” atmosphere and a few discrete support mikes, all recorded on a pair of two-track Nagra tape recorders in the restaurant kitchen! "You hear the clink of glasses, the chime of the bell to acknowledge a tip, the burr of conversation. It all fits; that intimate club atmosphere that sparks jazz at its best. You feel as though you're there. Which is Palmcrantz's triumph and why Jazz at the Pawnshop is likely to continue to fascinate both jazz and audio fans for a good many years to come." For the 2xHD transfer of this recording, the original 1/4”, 15-ips CCIR master tape was played on a Nagra IV-S tape recorder – the same model used in the original recording – with a pair of Dolby 361s, using a high end tube preamplifier with OCC silver cables. We did an analogue transfer for each Hi-Rez sampling and A / B comparisons were made with both the original LP, using a Kronos turntable, as well as the best available CD, using a Nagra HD DAC and dCS Vivaldi DAC. DXD 352.8 kHz / 24-bit was done using dCS 905 and dCS Vivaldi clock. 192 kHz / 24-bit was done using Ayre QA9pro. DSD 5.6448 MHz was done using Ayre QA9pro. DSD 2.8224 MHz was done using dCS 905 and dCS Vivaldi clock.